"This book will energize, motivate and empower you!" "Your book came at a critical time in my life and helped me immeasurably." 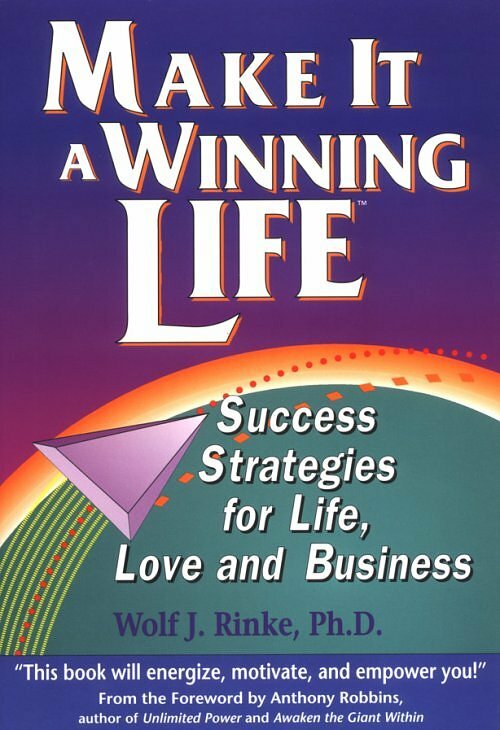 "...a manual for everyone who wants success." "I just reread your book. It was even better the second time around." "As Business Editor I receive hundreds of books. Your book is the best." "Why go first class on life's journey? Wolf Rinke's book buys you that ticket." "Anyone can use these six 'PEP' principles to go far beyond anything they have ever done before." "Wolf has the formula to help you take charge of your life. Use his principles and enjoy the ride to the top." "Wolf Rinke ignites a fire in your belly and shows you how to keep it burning while you achieve your dreams." Contact us for bulk discounts! and we will cheerfully refund your money!